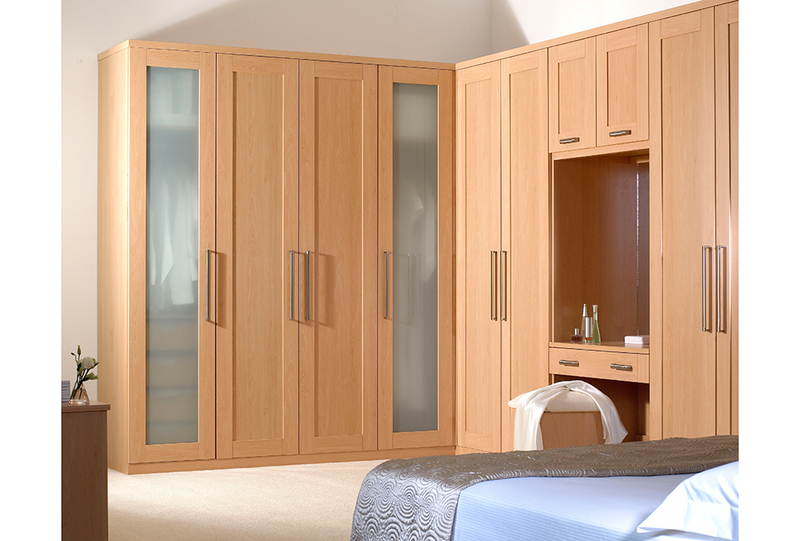 Beech shaker doors for a bright bedroom decor. Doors available for 350, 400, 450, 500, 700, 800, 900, 1000mm and corner units. Mirror doors available for 400, 450, 500, 800, 900, 1000mm and corner units. Glass doors available for 500 and 1000mm units. Bridging units 400, 450, 500, 800, 900 and 1000mm. Drawer & Door combination available for 900mm units. Matching drawer frontals available for 400, 450, 500 and 900mm units.